The ZLX12P cuts through the competition with the most complete and innovative package of features in it's class - all of which work together to make it quicker and easier than ever to take control of your sound, whatever the gig. Featuring a custom driver housed in an innovative new cabinet design, the compact and versatile ZLX12P makes EV ’s renowned sound quality and rugged reliability more accessible than ever before. The only loudspeaker in its class that matches EV engineered drivers with a custom-built Class-D amplifier module and powerful DSP. 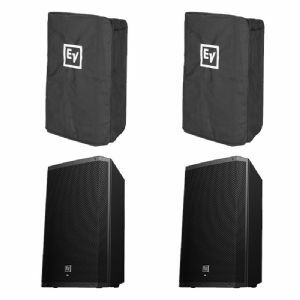 Whether pole mounted or used as a floor monitor, the ZLX12P delivers stunning sonic impact and intelligibility—the legendary “EV Sound” the pros trust. The ZLX12P represents a new standard for musicians, DJs, and all performers looking for more from a portable loudspeaker.